I'm actually loving so many things at the moment! 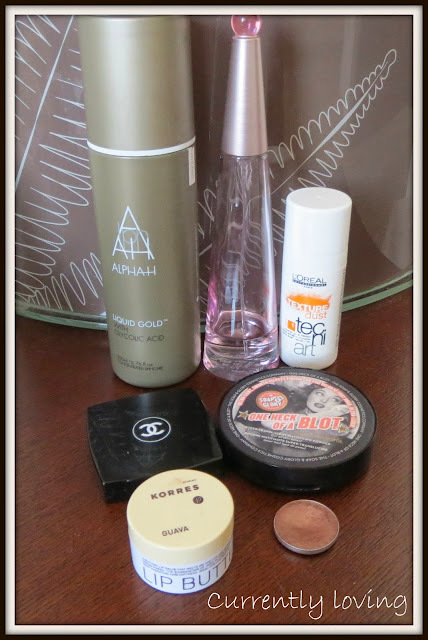 Here's a few of my current favourites. Now my sense of smell is improving I have been loving this Issey Miyake perfume again. I only have a tiny bit left now so will be making an effort to use this up over the next week or so. I have always loved Issey Miyake perfumes and every year buy that year's limited edition. This is a lighter, fresher and more floral perfume than the original L'eau de Issey Mikaye with notes of mandarin, lily, rose, musk and white wood. Whenever my skin starts playing up I reach for Alpha H Liquid Gold. This really did transform my skin earlier this year when I was suffering badly from spots and it will always now be a permanent fixture in my skincare routine. You can read a full review here. It's essentially a glycolic acid lotion which helps cell renewal when applied to the skin. Whenever my skin starts playing up I use this on my skin every other night after cleansing and then just leave it to work it's magic. It's literally like my skin breathes a sigh of relief. 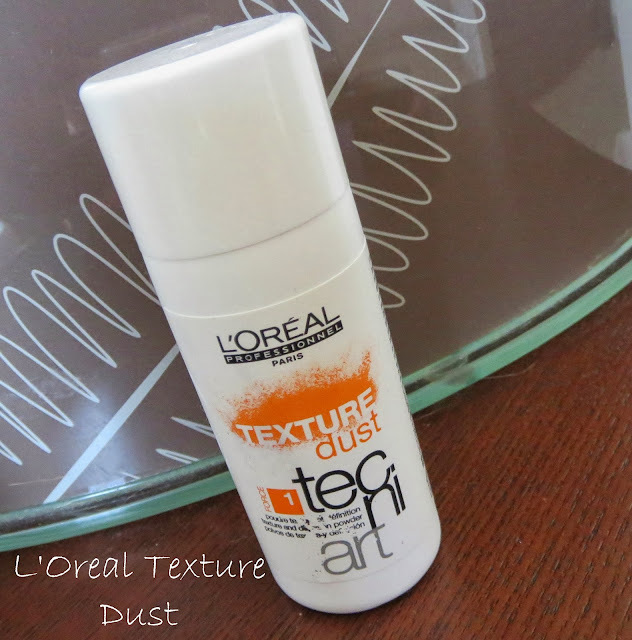 This texturising powder from L'Oreal is great for adding volume and texture to fine hair like mine. You sprinkle it into dry hair at the roots, leave it a couple of seconds and then massage in-initially it feels a bit sticky but that feeling goes when you brush through. It seems to make my hairstyle last all day and stops my fine hair going utterly flat. I am never going to have big hair but this just seems to give it some oomph. French speakers I apologise! I got the accent on Révélation wrong when editing the picture! 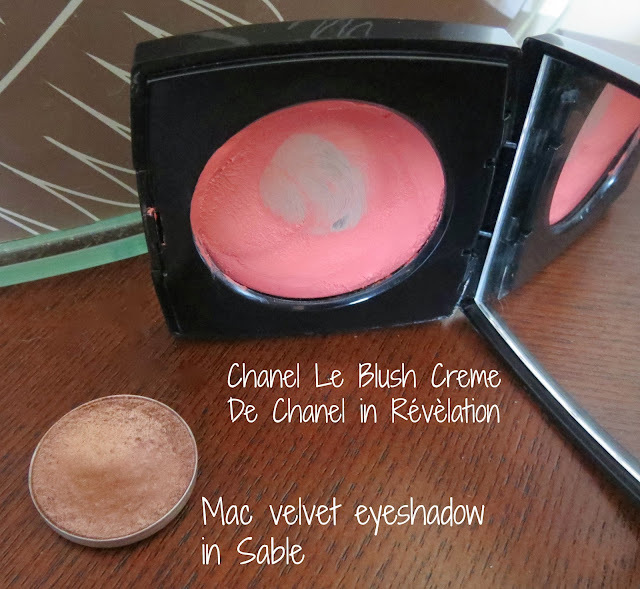 I have literally been reaching for this cream blusher every day for the last couple of months. I first reviewed it on my blog here and my thoughts remain the same-it's the perfect peachy coral, has a velvety non sticky texture that is easy to blend as long as you work quickly and it dries to a matte finish. As you can see I have hit pan on it which shows how much I love this blush. I normally dab it on with fingers and blend out with a Real Techniques stippling brush but when I am being lazy fingers work just as well! I think I have been using this gorgeous shade every day for the last 6 weeks. This is a mid bronze with hint of plum. It is a velvet finish which is really smooth, almost metallic. It's so beautiful and perfect for blending through the crease and outer corner of the eye. For a smokier look I like to use this all over the lid with Mac Mulch blended in the outer corner. If I could only have a handful of Mac eyeshadows (instead of the 50+ I do have) this would definitely make the cut! I recently picked this up from Boots in the UK and it is amazing. Seriously amazing. It's a setting powder which is transparent on the skin so suits all skin types. It doesn't add colour-it just blots shine. It's so finely milled it doesn't cake at all and I would say the formula is on par with the much much more expensive Hourglass Ambient Lighting Powders but without the effects the Hourglass powders give. It blows the Rimmel Stay Matte powder out of the water and I am already planning to re-stock when I go home next to the UK. UK beauty bloggers I urge you to try this if you haven't already! 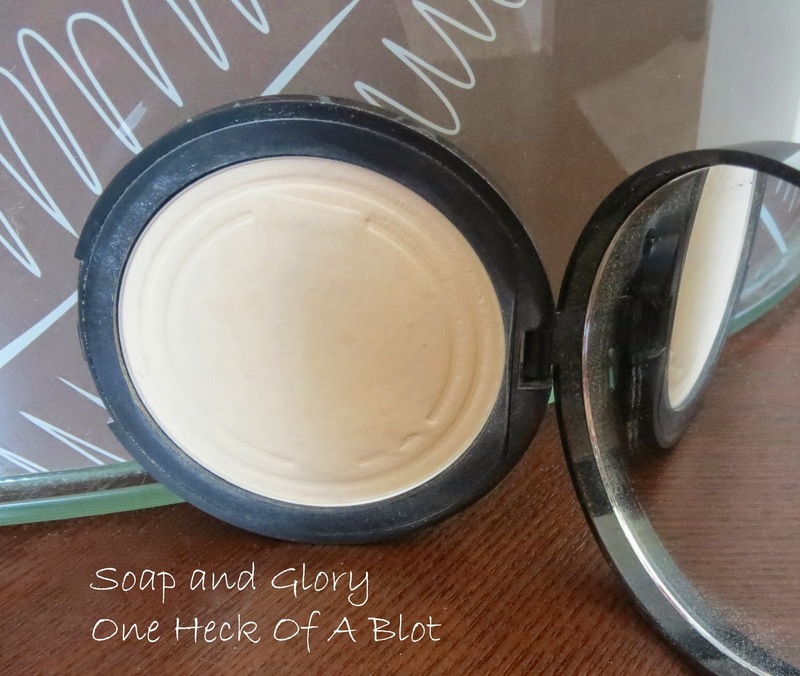 I am not known for loving drugstore make up but I am going to go out on a limb and say this is better than my Mac Blot Powder. 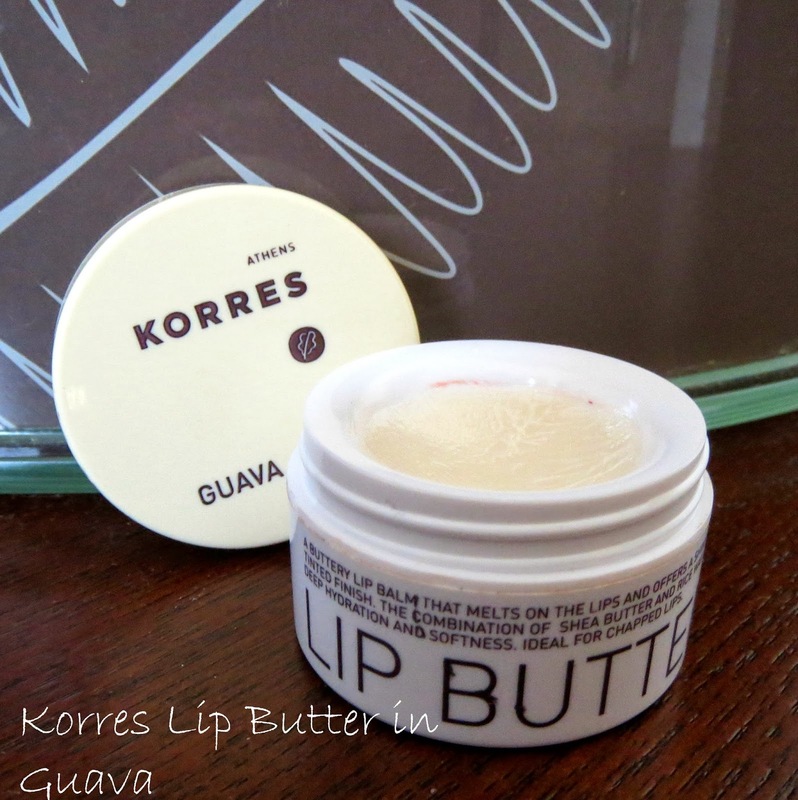 Finally I have really been enjoying this Korres Lip Butter in Guava. Some of the other Korres Lip Butters have colour in them so you can use them as a tinted balm. This one however actually puts a white cast on the lips when first applied. Hmmm that doesn't sound that nice I know but what this lip butter does is create the perfect base for lipstick. It is extremely nourishing but almost makes the lips matte and smooth giving you the perfect canvas to then apply lipstick. The white cast disappears in seconds as the product sinks into your lips and I adore it! What have you been loving recently? If you've done a current favourites post leave me a link to it below!